I hope you will mark your calendar for April 8-10 for the INDEPENDENT BAPTIST CONFERENCE, which will be coming to the Milwaukee, WI, area. 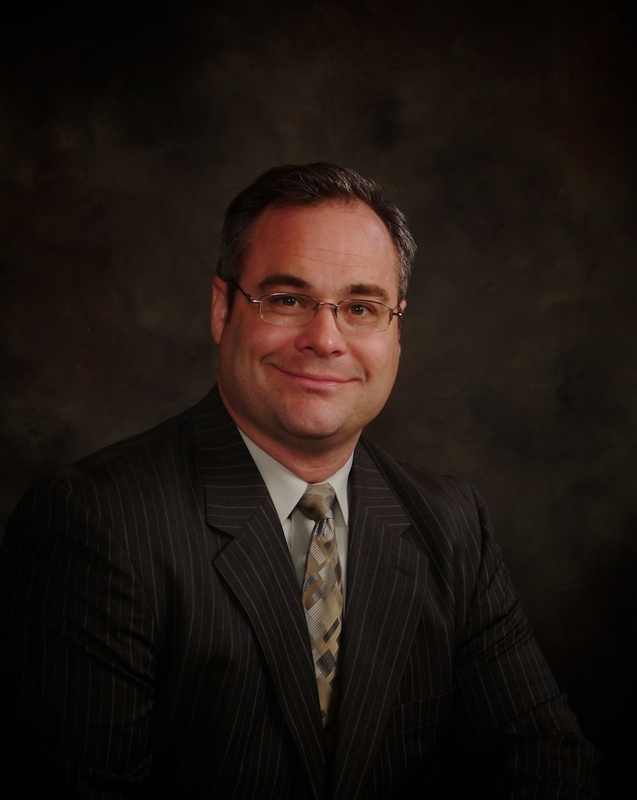 One of those speakers will be Pastor Todd Poynter who founded in 1995 the GREENWOOD BIBLE BAPTIST CHURCH of Indianapolis, IN. This is a miraculous church which has grown from an attendance of 2, of Pastor and Mrs. Poynter, to over 450 average attendance. This pastor has led his dear people through 5 building projects with a recent 27,000 square foot building. This is a traditional Gospel preaching independent Baptist church with 22 Sunday school classes and dozens of soul winning ministries. Thousands have been saved and baptized. This is an aggressive soul winning and family values ministry. You must hear this pastor who is being used of God to reach his community with the Gospel. He is an uncompromising young man of God! Please make plans to be with us on April 8-10, 2012. Also, the first 50 pastors who pre-register will have their motel accommodations paid for. Classes will be conducted on Tuesday morning for the pastors & staff, laymen, ladies, and youth. This will be very informative and a nuts and bolts approach to life in the independent Baptist world. 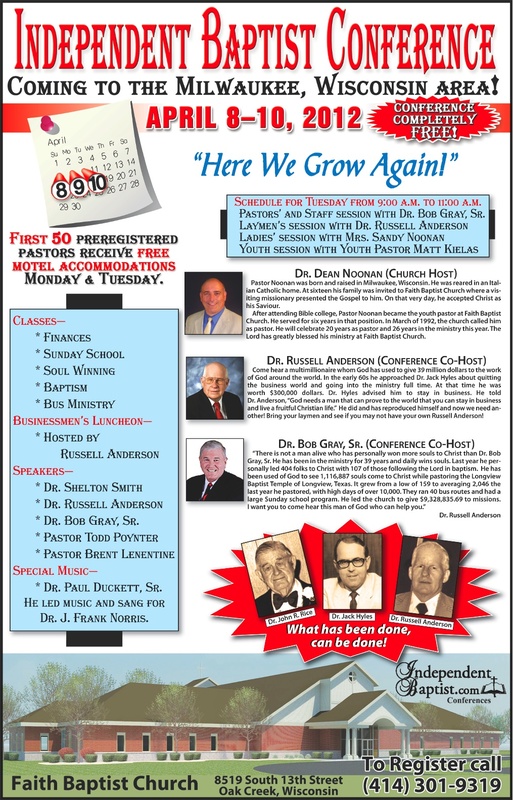 Dr. Russell Anderson and myself will be co-hosting INDEPENDENT BAPTIST CONFERENCES such as this around the country. I want you to be apart of the very first one! PLEASE CALL 414-301-9319 TO PRE-REGISTER! Prepare to be apart of this great week of singing, preaching, and teaching! Looking forward to seeing you in April. GOTTA LOVE THE OLD TIME RELIGION!